"How are you feeling Jock ?" "Well, if I wasn't sitting down, it is doubtful that I could stand up." Scottish Country Dance. From seventeen hundred to the middle of the nineteenth century the country dance was a tune with a dance figure. The dance was called after the tune. Normally two rows of dancers form a line and the couples progress down the row. Song and dance are at the very centre of any nation's culture and are said to represent the innermost character of a people. The whirling, dashing and spinning of the classic Scottish reels are no exception. Here, Roddy Martine and Andrew Campell provide a lighthearted guide to the basic steps of Scottish reels and country dances, all broken down into bullet points and illustrated with easy-to-follow diagrams. With further, indisposable hints on the social niceties of reeling, the conventions of the dance and the timetable of the Scottish social season, "The Swinging Sporran" is a hilarious companion to anyone who ventures into the social world north of the border. 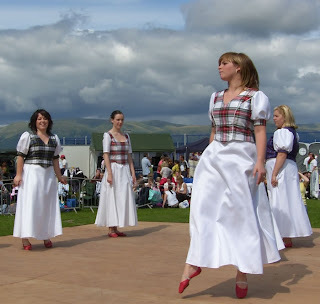 The Swinging Sporran: A Lighthearted Guide to the Basic Steps of Scottish Reels and Country Dances . 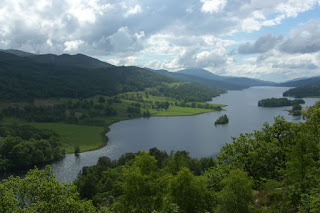 Tour Perthshire, Scotland. Perth and Kinross, at the geographical heart of Scotland, contain buildings which range from the remains of a Roman line of forts and watch towers, the fort at Ardoch, of the first and second centuries, is one of the best preserved and least known of such structures in Britain, early historic hill forts, a remarkable array of carved stones erected by the warrior aristocracy of the sixth to ninth centuries, the wilfully inventive medieval Dunkeld Cathedral, and mottes, castles and tower houses, among them the island fortress of Lochleven Castle and Elcho Castle's assertion of baronial status. The grandiose funerary monuments of the seventeenth century at Scone Palace and the Kinoull Aisle presaged the 'court' classicism of Sir William Bruce, which is exemplified by his own mansion, garden and landscape at Kinross House. Blair Castle's mid-eighteenth century stucco work, unequalled in Scotland, celebrates the magnificence of the Dukes of Atholl, this display challenged in the early nineteenth century by the sumptuous Gothic palaces of Scone and Taymouth Castle. A multitude of smaller country houses embrace a variety of styles (classical, Italianate, castellated and Baronial), while Georgian and Victorian churches, many with superb stained glass, abound. Among towns and villages, Dunkeld is the epitome of a small Scottish burgh while the Royal burgh of Perth has expanded from its medieval core with the addition of late Georgian 'new towns' and civic and industrial monuments of the nineteenth century. Perth and Kinross: The Buildings of Scotland . 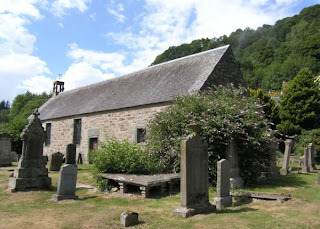 A9 Road, Aberargie, Aberdalgie, Aberdalgie Church, Aberfeldy, Aberfeldy Distillery, Aberfeldy Water Mill, Abernethy, Abernethy Tower, Abernethy Kirk of St Bride, Abernyte, Aberuthven Church, Acharn, Almondbank, Alyth, Alyth Museum, Amulree, Ardler, Ardoch Roman Camp, Atholl Country Life Museum, Ardvorlich, Arngask, Arngask Parish Church, Atholl, Auchnafree, Auchterarder, Auchterarder Parish Church, Auchtergaven and Moneydie Parish Church, Balbeggie, Ballinluig, Ballintuim, Balhousie Castle, Balvaird Castle, Bankfoot, Battleby, Beatrix Potter Garden, Ben Lawers, Ben Vorlich, Ben More, Beinn Dearg, Beinn a' Gloe, Ben Vrackie, Birnam, Birnam Arts and Conference Centre, Birnam Oak, Birnam Wood, Birks of Aberfeldy, Blackford, Black Castle of Moulin, Black Watch Monument, Black Watch Museum, Blair Athol Distillery, Blair Atholl, Blair Castle and Garden, Blairgowrie, Blairgowrie Golf Course, Bolfracks Garden, Braco, Branklyn Garden, Bridge of Balgie, Bridge of Cally, Bridge of Earn, Bridge of Gaur, Bridge of Tilt, Buchanty, Burleigh Caputh Hostel, Castle, Butterstone Loch, Caithness Glass, Camasericht, Camserney Longhouse, Camghouran, Caputh, Cargill, Cargill and Burrelton Parish Church, Carnbane Castle, Carsebreck, Cashlie, Castle Menzies, Cateran Trail, Cherrybank Garden, Clan Campbell, Clan Donnachaidh Museum, Clan Drummond, Clan MacGregor, Clan MacNab, Clan Menzies, Clan Robertson, Cleish Castle, Cleish Church, Clunie, Clunie Memorial Arch, Cluny House Gardens, Collace, Collace Parish Church, Comrie, Comrie Parish Church, Coupar Angus, Coupar Angus Abbey Gatehouse, Craig, Craig Rossie, Craighall, Crianlarich, Crieff, Crieff Hydro, Crieff Parish Church St. Michaels, Dalclathick, Dall, Deanshaugh, Delvine, Devil's Cauldron, Dowally, Dron, Drummond Castle and Garden, Dull, Dunalastair, Dunan, Dunbarney Church, Dundurn, Dunfallandy Stone, Dunira, Dunkeld, Dunkeld Cathedral, Dunkeld Cathedral Chapter House Museum, Dunkeld and Birnam Tourist Association, Dunkeld Hermitage, Dunning, Dunning Church, Dupplin Cross, Eastern Perthshire, Edradour Distillery, Elcho Castle, Errol, Errol Parish Church, Fair Maid's House, Fearnan, Fendoch, Fergusson Gallery, Fingask Castle, Finnart, Forgandenny, Forgandenny Parish Church, Fossoway St. Serf’s and Devonside, Huntingtower Castle, Forter, Forteviot, Forteviot Church of St Andrew, Fortingall, Fortingall Yew, Foss, Foulford, Fowlis Wester Parish Church, Fowlis Wester Sculptured Stone, Gask Parish Church, Gilmerton, Glasclune Castle, Glen Almond, Glencarse, Glen Bruar, Glendevon, Glendevon Castle, Glen Dochart, Glendoick Gardens, Gleneagles, Gleneagles Castle, Gleneagles Hotel, Glen Errochty, Glenfarg, Glen Garry, Glen Isla, Glenlyon, Glen Lyon, Glen Lochay, Glen Rannoch, Glenshee, Glen Tilt, Grandtully, Glenturret Distillery, Greenloaning, Guildtown, Highland Perthshire, Huntingtower Castle, Inchture, Inchtuthill, Innerhadden, Innerpeffray Chapel, Innerpeffray Library, Innerwick, Inver, Inverharity, Kaims Castle, Keillour, Kenmore, Killichonan, Killiecrankie Battlefield, Killiecrankie Viaduct, Killiecrankie Visitor Centre, Killin, Kilspindie, Kilspindie and Rait Church, Kinclaven, Kinclaven Castle, Kinfauns, King James VI Golf Course, Kinnoull Aisle and Monument, Kinloch, Kinloch Rannoch, Kinnaird, Kinoull Aisle, Kinnoull Hill, Kinross, Kinross Parish Church, Kinross House, Kinnoull Parish Church, Kirkmichael, Kirkton of Glenisla, Lawers, Letham St. Mark’s, Little Dunkeld, Little Forter, Loch Faskally, Loch Leven Castle, Linn of Tummel, Loch of the Lowes, Loch Rannoch, Loch Tay, Loch Tummel, Logierait, Longforgan, Longforgan Parish Church, Luncarty, Lundie, Madderty, Madderty Parish Church, McDiarmid Park, Megginch Castle, Meigle, Meigle Sculptured Stone Museum, Meigle Sculptured Stones, Meikle Forter, Meikleour, Meiklelour Beech Hedge, Methven, Methven Battlefield, Methven and Logiealmond Church, Middleton Fossoway, Milnathort, Moncreiffe Parish Church, Moneydie, Monzie, Monzievaird and Strowan, Monzie Parish Church, Moulin, Muirton, Muthill, Muthill Old Church and Tower, New Scone, Ogilvie Castle, Orwell Parish Church, Ossian's Hall, Perth, Perth Mart Visitor Centre, Perth Museum and Art Gallery, Perth Racecourse, Pitcairngreen, Pitcur Castle, Pitlochry, Pitlochry Dam, Pitlochry Fish Ladder, Pitlochry Golf Club, Pitlochry Theatre, Portmoak, Portmoak Airfield, Quarrymill Woodland Park, Rait, Rannoch, Rattray, Redgorton and Stanley Parish Church, Remony, Riechip, River Earn, River Ericht, River Farg, River Isla, River Tay, River Tummel, Rosemount, Royal Perth Golfing Society, Ruthven, Schiehallion, Scone Palace and Gardens, Scone Old Parish Church, Scottish Crannog Centre, Scottish Liqueur Centre, Scottish Plant Collectors Garden, Skinnergate, Smeaton's Bridge, Snaigow, Spittal of Glenshee, Southern Perthshire, St Bean's Church, St. Fillans, St. John's Kirk of Perth, St Kattan's Chapel, St. Madoes, St Madoes and Kinfauns Parish Church, St. Martins, Stanley, Stanley Mills, Stewartfield, Stobhall, Strath Ardle, Strath Braan, Strath Earn, Strathmore, Strath Tay, Strath Tummel, Strath Fillan, Struan, Tay Forest Park, Taymouth Castle, Tibbermore, Trinafour, Trinity Gask and Kinkell, Tullibardine Chapel, Tullibole Castle, Tulliemet, Tullybelton, Tummel Bridge, Weem, Woodside. Best Scottish Hotels and Best Scottish Tours. "So, your mother found a fly in the bun ? Well, I can't replace the bun, but if she returns the fly, I will give her a currant for it." Best Scottish Tours of Airth Highland Games. A windy, but sunny, day here in Scotland. The Scottish Highland Games at Airth were well worth the visit, not only for the weather, but also for wonderful displays of dancing and piping. 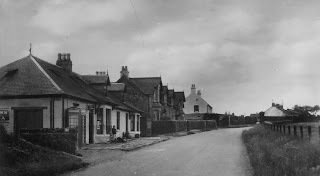 The village of Airth lies near Falkirk, on the old road that parallels the south bank of the River Forth from Stirling to Grangemouth, Scotland. Airth Highland Games has a long history, going back to 1871 in fact. It may be that their origins are even further buried in the mists of time than that for there is a local legend that they stem from the games and sports played by Prince James's rebel soldiers camping in Airth in 1488, on their way to the battle of Sauchieburn. This is highly possible as the battlefield is only about seven miles away and because of its position, Airth has always had soldiers tramping through it on their way to one battle or another. Airth Highland Games Photographs. Tour Scotland Photographs. Photographs from my latest July Small Group Tour of Scotland. This July saw rainy weather and bright spells in Scotland. Tour included Aberfeldy Distillery, Abernethy Tower, Anstruther, Blairgowrie, Castle Campbell, Cellardyke, Comrie, Crail Harbour, Dunfermline Abbey, Dunblane Cathedral, Dunkeld, Dupplin Cross, Edinburgh Castle, Falkland Palace, Forth Bridges, Glamis Castle, Glen Quaich, Hill of Tarvit, Holyrood Palace, Kenmore, Kirriemuir, Loch Tay, Loch Tummel, Lochearnhead, Pittenweem, River Ericht, Scottish Sheepdog Demonstration, St Andrews, St Monans, Stirling Castle, The House of Bruar, and much more. Tour Scotland Photographs. 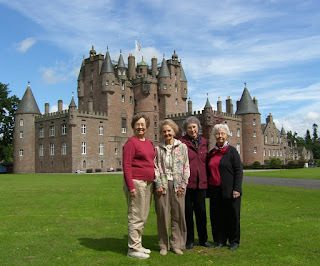 Tour Scotland Glamis Castle. The final day of my latest small group tour of Scotland. The four ladies in the photograph above, all from Arkansas, were a delight, and it was my great pleasure to tour them through Scotland. Tour Scotland Robert the Bruce Monument. The Robert The Bruce Statue is located at the entrance to Stirling Castle, Scotland. Robert the Bruce was one of Scotland's most famous and respected monarchs. A Scottish bagpiper in Edinburgh, Scotland. Edinburgh has been the capital of Scotland since 1437 and is once again the seat of the Scottish Parliament. Tour Edinburgh, Scotland, on the Best Scottish Tours. 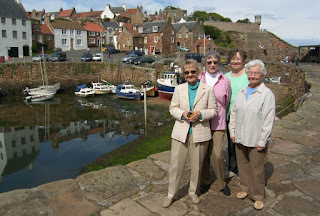 Tour Kincardine on Forth, Fife, Scotland, on the Best Scottish Ancestry Tours. A Solo Piper practising for the Piobaireachd Competition at the Lochearnhead Highland Games in Scotland. The Druim a' Charraigh Quaich is presented annually by The Clan Gregor Society to the winner of the Piobaireachd Competition at Balquhidder, Lochearnhead and Strathyre Highland Games. This commemorates the MacGregor Piping School which flourished in the 16th and 17th centuries near the mouth of Glen Lyon. Among the Clan's many eminent pipers was John MacGregor of Fortingall who, on joining Prince Charlie at Glen Finnan in 1745, became his piper and personal attendant. Although wounded at Culloden, John survived and in 1781, at the age of 73, won third prize at the Falkirk Tryst which claims to have been the forerunner of the modern piping competitions held annually throughout Scotland. Tour Scotland on the Best Scottish Tours. At long last we had some good weather for our small group tour of Scotland, and since we were in North Fife, we decided to visit Hill of Tarvit, near Cupar, North Fife, Scotland. Hill of Tarvit is a superb Scottish mansion house, built in 1906, which reflects the period 1870 to 1920 when Scotland was the industrial workshop of the world. The house was designed by Sir Robert Lorimer as a showcase for a collection of Flemish tapestries, Chinese porcelain and bronzes, French and English furniture, paintings by Raeburn, Ramsay and eminent Dutch artists. Tour Culzean Castle, Scotland. Culzean castle on the Ayrshire coast is a masterpiece of the Scottish Gothic Revival. Sir Thomas Kennedy who inherited the title of Earl of Cassilis in 1762 had been on the Grand Tour and had been impressed not only by the classical grandeur of Rome but by the many fine medieval buildings throughout the continent. Thomas had already inherited the Kennedy castle of Culzean about ten miles south of Ayr and felt that its dramatic cliff-top location, with views across the Firth of Clyde to Arran and the Mull of Kintyre, was the perfect site for a new family seat. Between 1762 and 1775, Sir Thomas repaired the old castle and added a new wing. His successor, David 10th Earl Cassilis also decided to live at Culzean Castle but planned far greater changes. He commissioned Robert Adam to build one of the finest and grandest mansions in the kingdom, bankrupting himself in the process. The result was an unparalleled romantic fantasy on the outside and a perfect neo-classical Adam Georgian home within. Its design and execution rank with the finest Enlightenment architecture anywhere in Europe. The strain of this massive undertaking affected both the artist and patron however. 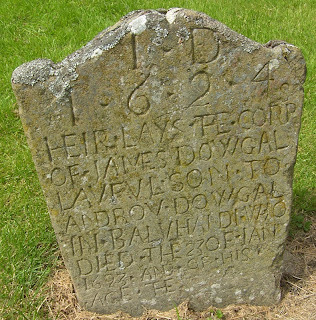 Adam wore himself out travelling between London and Ayrshire and died of an ignored stomach haemorrhage in 1795. The penniless Earl of Cassilis died of worry later the same year. The first Cuizean castle had been a humble keep built to protect the lands of the local Kennedy family. Although close to Central Scotland, parts of Ayrshire had a reputation for independence and lawlessness. The old Culzean castle sat above a coast honeycombed with caverns. It was a natural landscape for smuggling and the medieval Kennedys probably both connived at, and participated in, that ancient trade. Castles have been the homes of warlords since the early Middle Ages so the lifetime gift of the top apartments at Culzean Castle to General Dwight Eisenhower in 1945 was an appropriate gesture. Returning to Culzean as President of the USA in the 1950s, the castle was converted into the Scottish White House complete with all the Cold War trappings. As befits a mansion on this scale, Culzean has a retinue of ghosts. A spectral piper announces forthcoming marriages within the Kennedy clan while a female ghost has the good sense to dress appropriately in a ball gown. A third apparition is that of a knight who abducted an heiress and carried her to Culzean, only to be stabbed to death by the woman who used his own dirk for the deed. Tour Culzean Castle on the Best Scottish Tours. Culzean castle on the Ayrshire coast is the most visited property of the National Trust for Scotland. Built in the late 16th century above a network of caves, the castle became a centre for smuggling during the 18th century. Sir Thomas Kennedy, 9th Earl of Cassillis, went on an extended grand tour in the 1750s and returned full of ideas as to how to improve his vast estates and home. His brother and heir commissioned Robert Adam to create his masterpiece and became bankrupt as a result. The estate was rescued when wealthy American cousins inherited it in 1792. Archibald Kennedy, 1st Marquess of Ailsa, completed the house and lavished money on the property. Produced in association with the National Trust for Scotland, this volume tells the whole history of the castle. Michael Moss has carried out extensive research, drawing on estate records, original plans and family correspondence to create a major history of the castle and an account of the running of a Scottish country estate. The Magnificent Castle of Culzean and the Kennedy Family . Best Scottish Tours of Balmoral Castle, Scotland. This was the castle that Victoria and Albert leased in 1848. The royal couple had been looking for a permanent summer home in Scotland but without success. Then Prince Albert investigated the meteorological records and found that Deeside was drier than most other parts of the Highlands, which appealed to his advancing rheumatism. The rolling hills of Deeside also reminded him of his native Thuringia. For her part, Victoria was taken with the views of Lochnagar to the south west of the castle. She knew Lord Byron's poem Dark Lochnagar and had doubtless heard Beethoven's arrangement of Byron's romantic hymn to this majestic mountain. The Saxe-Coburgs purchased Balmoral in 1852 but soon realized that it was too small for their needs. 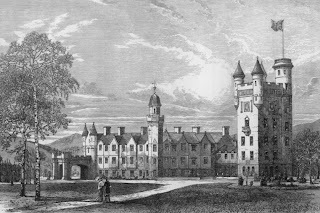 Albert commissioned the Aberdeen architect William Smith to work with him on planning a new royal palace at a site about eighty yards east of the old castle. Victoria laid the foundation stone in September 1853 on top of a time capsule containing coins and a signed parchment. When the royal family arrived at Balmoral for its summer holiday in August 1857, not a single stone of the old castle could be seen. The new palace, capable of holding over 120 guests and court functionaries, was constructed in the Scots Baronial style using white granite from nearby Glen Gelder. The exterior of Balmoral contained every architectural device that suggested a medieval fortress such as machiolation, tourelles and a battlemented Stewart tower but this decoration only just masked the reality of Balmoral as a rationally planned country house with two main blocks, one for guests and the other for service functions. 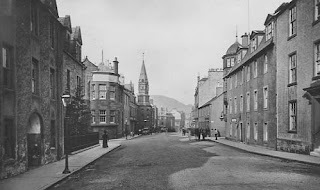 The new Highland palace served its purpose well for Balmoral Castle could easily accommodate Victoria's growing family, as well as the entourage of ministers and secretaries needed for the smooth running of the state during the monarch's absence from London. So devoted was the Queen to Balmoral and Deeside that the ruler of the world's largest Empire regularly spent up to one third of every year in this castellated Highland idyll. Tour Queen Victoria's Scottish Highlands. Tour Dunvegan Castle, Isle of Skye, Scotland. 'Keep to the rock: it is the very jewel of the estate. It looks as if it had been let down from heaven by the four corners, to be the residence of a chief.' By Dr Samuel Johnson in Journal of a Tour of the Hebrides, James Boswell, 1796. The rock at Dunvegan has been defended for at least two thousand years. 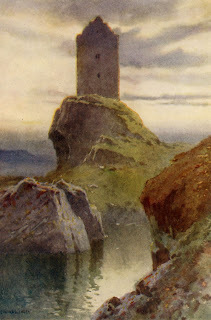 By the 13th century, towards the end of the Viking period, the rock had passed to the MacRailts, and Leod, chief of Clan MacLeod, married the MacRailt heiress. Leod's descendants have lived continuously in the castle for more than seven hundred years. The oldest part of the castle is the outer wall, built ten feet high around the top of the rock. The only entrance to the castle at that time was by 22 narrow steps up to the Sea Gate on the seaward side. Inside there are more steps that lead up past the well to the Guncourt. Around 1350 a huge keep was built into the northern end of the wall, and a four storey tower was added in about 1475 to give a private chamber for the chief, with a bedchamber above reached by a spiral staircase. Despite much alteration elsewhere, the Fairy Tower, as it is named, still retains most of its original features. In the early 17th century Ruairidh Mor MacLeod travelled to London to see James VI and was knighted. He brought back an oak sideboard that is still used in the castle. The room that he placed it in was a large hall more than fifty feet long, which was constructed of timbers salvaged when the keep was gutted. Here the chief dined in splendour with his whole clan. In the mid 17th century a fine balustrade with mock cannons was added to the wall head where the chiefs pipers played. 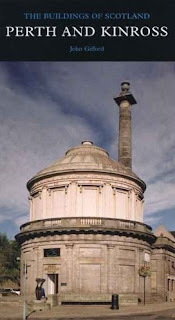 General Norman MacLeod, 23rd chief, having made his fortune in India, restored the ruinous keep. Large windows were excavated through the thick walls and a drawing room in the Regency style was created with bedchambers above. A narrow outside stair had been built on the landward side in the mid 18th century, but it was not until 1810 that a grand entrance with wide stair was in the awkward gap between keep and hall. Then, in the 1840s, the castle was completely remodelled. The pitched slate roofs were removed and tall castellations added with pepperpot towers on each corner. Inside, the castle's greatest treasure is the Fairy Flag, which brought victory in battle to the MacLeods. Also displayed are the Dunvegan Cup, an early Irish drinking cup, and Sir Ruairidh Mor's Horn, both mounted with silver. On the walls are some fine portraits. To complete the picture the castle is surrounded by tall trees and a fine garden. 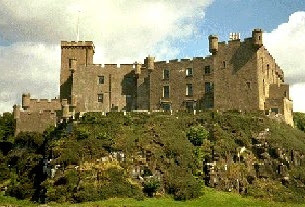 Best Scottish Tours of Dunvegan Castle. Tour Edzell, Scotland. Toured Edzell Castle and Garden this morning, a late-medieval tower house incorporated in to a 16th century courtyard mansion, and a walled garden with a bathhouse and summer house laid out in 1604. The Garden was built for Sir David Lindsay, Lord Edzell, about 1604 and was recreated in the 1930s. The carved decoration of the garden walls is unique in Britain. The carvings depict the Planetary Deities, Liberal Arts and Cardinal Virtues. We entered through the summer house to discover nesting holes and flower boxes set into walls, and decorative hedges shaped and trimmed into the Fleur de Lys, Scottish thistle and English rose and the family mottoes of the Lindsay family: "dum spiro spero" (while I breathe I hope) and "endure forte" (endure firmly). Sir David intended his garden to stimulate both mind and senses, and it does. Just returned from a Tour of Skye, on a small group tour of Scotland. You can still travel over the sea to Skye, and taking the Glenelg and Kylerhea ferry is one of the most interesting ways of doing so. Tour Lochmaddy, North Uist, Scotland, on the Best Scottish Ancestry Tours. Edinburgh Castle, rising above precipices of volcanic rock, the fortress of Edinburgh, the capital of Scotland stands out for miles around and closer up, is an unparalleled sight when viewed from Princes Street. Anyone coming to Edinburgh is almost compelled to go up to the castle perched on its rock. The rock became a stronghold of the kings of Scots more than 900 years ago when Lothian was annexed to Scotland. It also became a major royal residence: Margaret, queen of Malcolm III, and later canonised as St Margaret, died here in 1093. When Edward I of England invaded and occupied Scotland in 1296 the importance of Edinburgh Castle made it a prime target, and the first famous siege was followed by many more. After the Wars of Independence the castle's value to Scotland grew until the reigns of James III and James IV, from 1460 until James IV was killed on the battlefield of Flodden in 1513, when it reached its zenith. Still a royal palace in regular use, the castle was the first place of strength in the country, a meeting place of the Parliament of Scotland, the home of the national archives, the treasury and the royal arsenal. redcoats, while the defences were improved in response to threats that only ended with the Jacobite rising of 1745-6. The oldest building visible today is the little 12th century church, now called St Margaret's Chapel, created by David I in memory of his mother. It is the earliest of a series of vivid glimpses of past power and glory. Tour Edinburgh Castle on the Best Scottish Tours. Edinburgh Castle is one of Scotland's most awe inspiring and striking landmarks. A site of human habitation since the 9th century BC, it has a rich and varied history and has been a crucial strategic military site for thousands of years. Tales of Edinburgh Castle is a salute to the ancient tradition of storytelling, painting a vivid picture of the castle in bygone times, and the rich and varied characters to whom it owes its notoriety. Tales of Edinburgh Castle (Luath Storyteller) . Scottish Customs from the Cradle to the Grave. A highly readable and absorbing anthology of traditional Scottish customs and rites of passage, Scottish Customs from the Cradle to the Grave draws upon a broad range of literary and oral sources. Scotland has been fortunate to have written accounts of intrepid early travellers such as Martin Martin, Edward Burt and John Lane Buchanan, and extracts from their writing are found alongside modern interviews made by Margaret Bennett and researchers from the School of Scottish Studies at Edinburgh University. This expanded edition includes a large amount of new material. The result is a detailed and comprehensive picture of social behaviour in Scotland over the last 400 years. The book is divided into three sections, each covering a stage in the cycle of life: Childbirth and infancy; Love, courtship and marriage and Death. Scottish Customs from the Cradle to the Grave . Tour Scotland on the best Scottish Tours. A tour of Stirling, Scotland, today. Spent a couple of hours at the Stirling Highland Games. The band shown at the games is the City of Brechin Pipe Band, from Brechin, Angus, Scotland. The band’s history can be traced back to a meeting of the Brechin Town Council on the 20th June 1688, where entered in the minutes, John Wyslie was elected town piper. The Pipe band was then formed from a volunteer detachment in 1884. Spent a wonderful afternoon at the Thornton Highland Gathering, Fife, Scotland. Especially enjoyable was the Pipe Band competition. There were many excellent pipe bands including the band featured above; the Lochgelly High School Novice Juvenile Pipe Band. Events such as these are an essential part of any tour of Scotland. Thornton Highland Gathering Photographs. Tour Gauldry, North Fife, Scotland. Search for your Scottish Roots on a Small Group Tour of Scotland. Tour Campbeltown, Scotland. Search for your Scottish Roots on a Small Group Tour of Scotland. Tour Peterhead, Scotland. Search for your Scottish Roots on a Small Group Tour of Scotland. Children of the Sea: The Story of the People of Eyemouth. 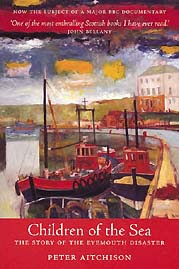 Recounting the remarkable story of a village on the margins of the sea and at the edge of the country, this book describes how 180 men drowned in a single afternoon in Scotland’s worst fishing disaster 120 years ago, decimating the coastal community of Eyemouth. This is a tale of survival throughout the wars of independence and the witch hunts of the 17th century, of danger and high jinks when Eyemouth was the center of a massive smuggling ring, and above all of the hope and tragedy of fishing and of the battles with the minister. It is a story of a people who fought to survive and whose voice can now be heard, from tales handed down through the generations. 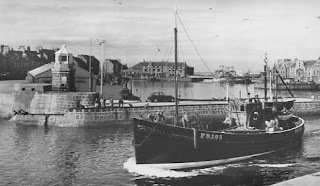 Children of the Sea: The Story of the People of Eyemouth . Tour Weem Scotland. Weem is a Perthshire village near Aberfeldy, Scotland. The Old Parish Church of Weem, of medieval origin, contains the funerary monuments of the Menzies family going back to the 16th century. Weem Photographs. Spent today in Perth, Scotland. Visited St John's Kirk which is the oldest standing building in Perth, and one of the most important parish churches in Scotland. Tour Tullibardine, Perthshire, Scotland. Tullibardine is to the north of Auchterarder. 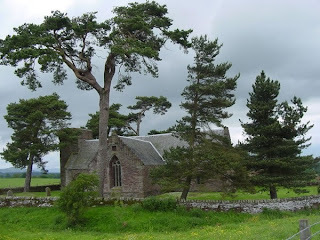 It has a well preserved Collegiate Chapel founded in 1445, and was once the burial place of the Dukes of Atholl. Tullibardine Photographs. 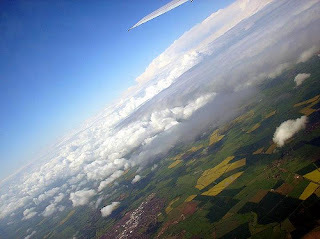 Sandy and Donald were flying to the USA, when Sandy suddenly said to Donald: "Donald, if this plane starts to fly upside down, will we fall out ? " "Of course not," replied Donald, "We will be friends all of our lives !" Tour Scotland Newark Tower. 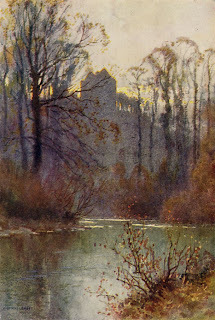 A large rectangular tower house on the Yarrow Water to the west of Selkirk in the Scottish Borders. Tour Scotland Neidpath Castle. 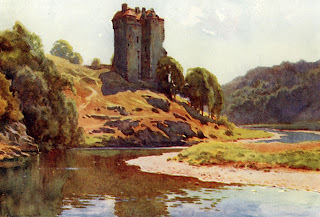 This castle is an L-shaped tower house on the banks of the River Tweed, near Peebles, in the Scottish Borders. It was built in the fourteenth century and was owned by the Hay family until the late seventeenth century. Tour Scotland Smailholm Tower. This tower located near Kelso is a fine example of a sixteenth century Border Tower. Tour Borders Of Scotland. A seemingly endless variety of scenery is the true joy of Scotland. To this scenic beauty must be added much that is of historical, architectural and literary interest so that anyone on a tour of Scotland can be assured in advance of a memorable experience. If June was the wettest month in Scotland, that I can remember, then July has started in the same manner. Today was the second day of the Scottish Fair at Scone Palace, and since there were many indoor displays, it was the best place to visit. Met this Scottish Crafts person spinning wool from Shetland Sheep into yarn. It was fascinating to watch her using the traditional spinning wheel.